If you don’t recognize him by sight, you are likely familiar with Jones Angell’s voice. He is the play by play voice for Carolina Athletics. 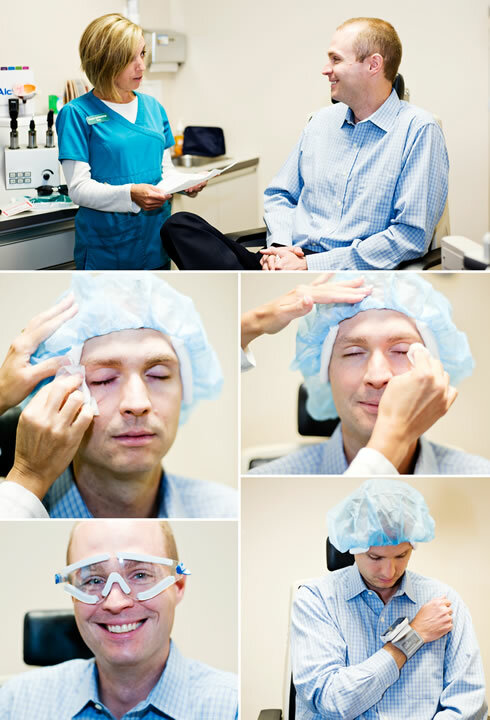 This spring he decided to undergo LASIK vision correction with Dr. Bryan here at COA. 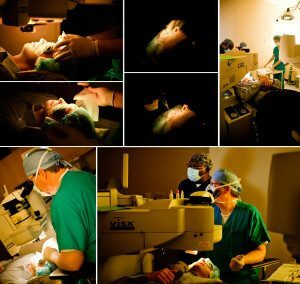 Jones filled us in on the issues that convinced him to opt for refractive surgery and allowed us to follow him through the process. Thanks Jones! 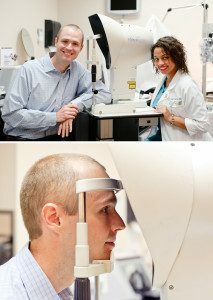 Before undergoing the procedure, Jeannette took WaveScan images (or a 3D analysis) of Jones’s corneas. 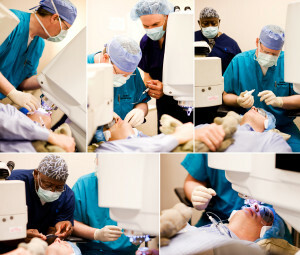 After that, Tracy went over his post op instructions and answered any remaining questions while checking his blood pressure and prepping him for LASIK. Meanwhile Polly and Casey prepped the laser room. Polly and Casey prep the laser room while Dr. Bryan administers a numbing drop. Once Jones came into the laser room Dr. Bryan took a look at Jones’s corneas at the slit lamp to make sure his axis was correctly marked for his astigmatic correction. Dr. Bryan marks the axis for astigmatic correction. Undergoing the procedure. Jeremiah and Chad from Sightpath assist. 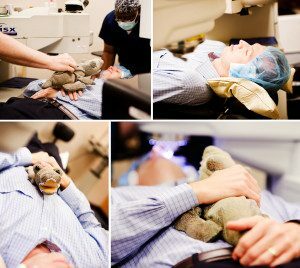 If you are feeling a bit nervous, Dr. Bryan’s Laser Gator can help you get all of your nervous energy out by allowing you to squeeze him tightly. Jones holds onto our Laser Gator. Looking at the clock on the wall. 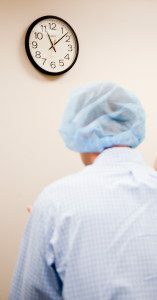 Right after surgery most patients are stunned to realize they can already see the numbers on the clock. For a first person account of what the procedure feels like, check out Laura’s blog post from a few months back. See the button below. Jones took the leap, and now he is living without the limitation of glasses or contact lenses. Call us at 919-945-3937 to schedule your free consultation. Start living your life without limitations.